Artwork using raw materials and my human scale in the reality of abstract. Many years she had sat on the sideline admiring works of art that touched her heart and soul. Since Liza's battle with Stomach Cancer she has found expressing what was in her heart and soul to share with the world. 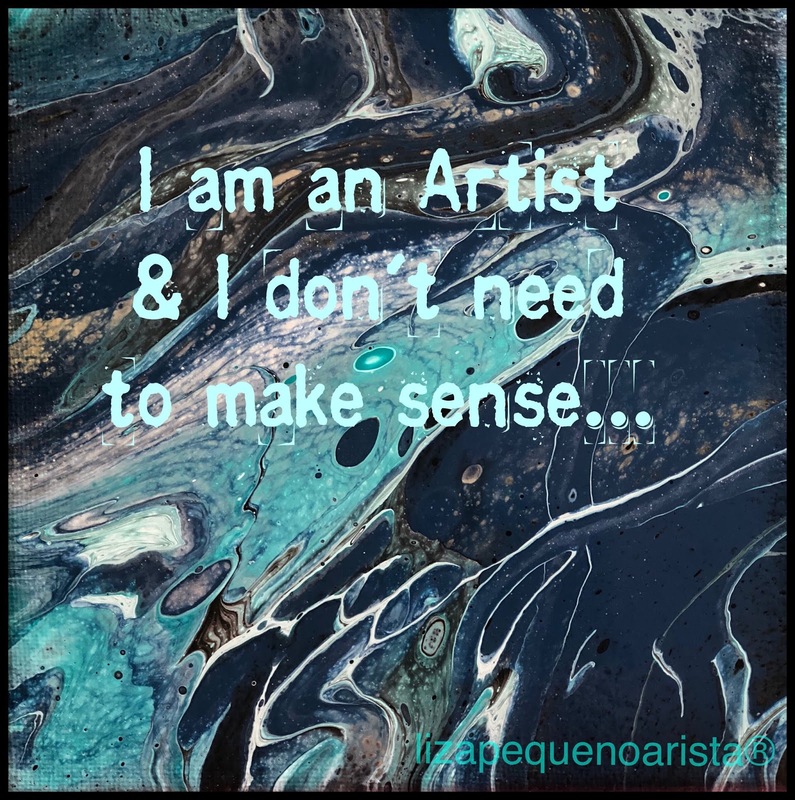 In 2018, Liza Pequeno Arista, LLC was founded by Liza Pequeno who had been dreaming of creating a fun business, one that revolved around her main passion: ART! "The world doesn't make sense, so why should I paint pictures that do?" Emotions are powerful, in the newspaper headlines to social media. Emotions have become the primary way of understanding the world around us. I create to help me understand my emotions, my world around me. How Does Creativity Define You? Liza Pequeno Arista, LLC. Travel theme. Powered by Blogger.